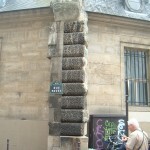 Notes: Gavroche pulled Thénardier down from the wall of the prison of La Force in the spot currently occupied by no. 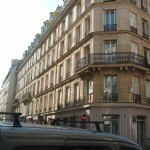 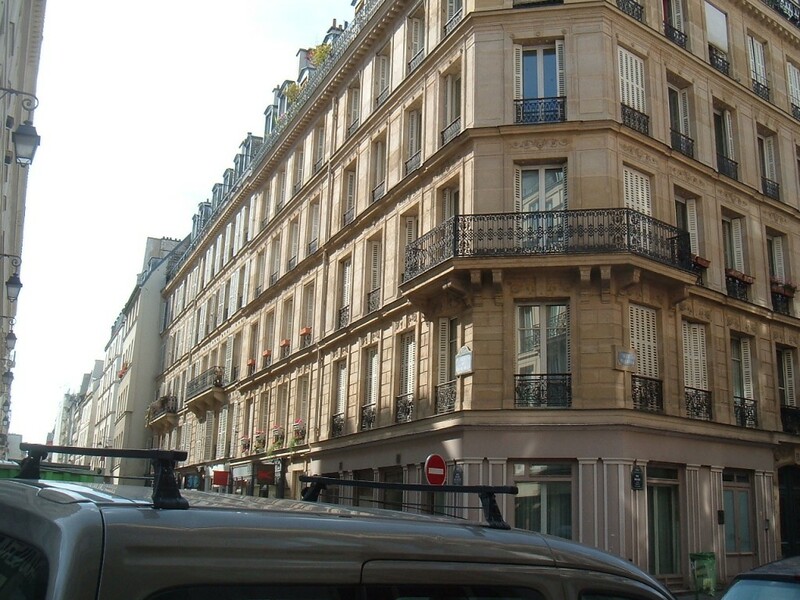 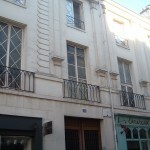 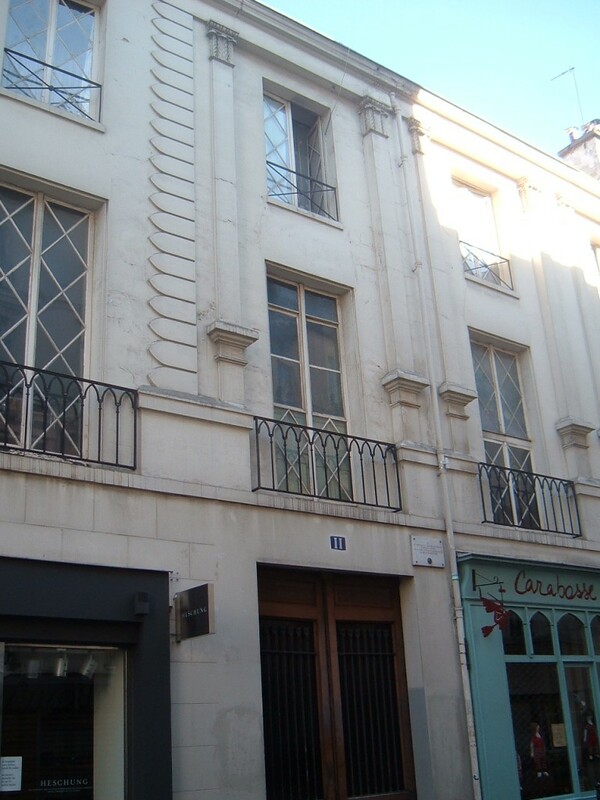 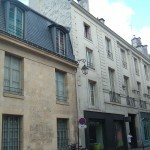 11, rue Sévigné. 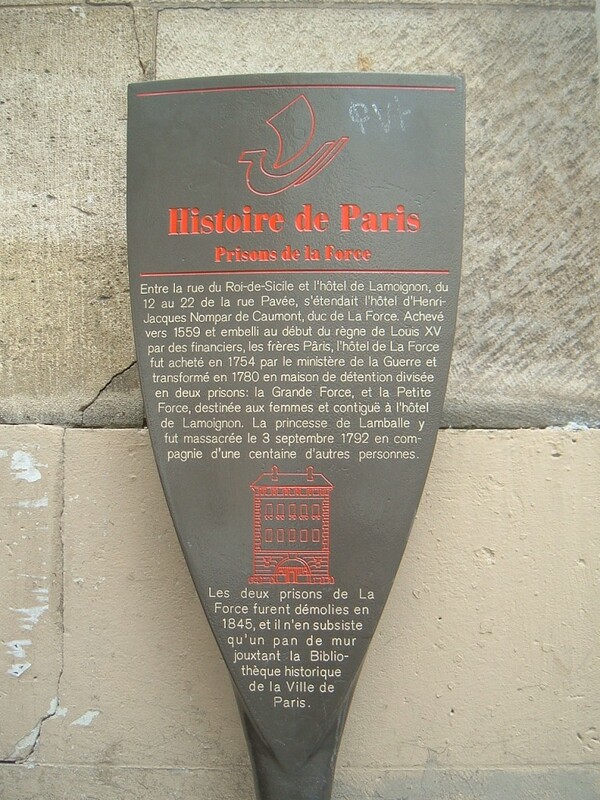 La Force, the largest and most legendary of the Parisian prisons of the time, was by the 1830s a sprawling decrepit complex with unhealthy living conditions. 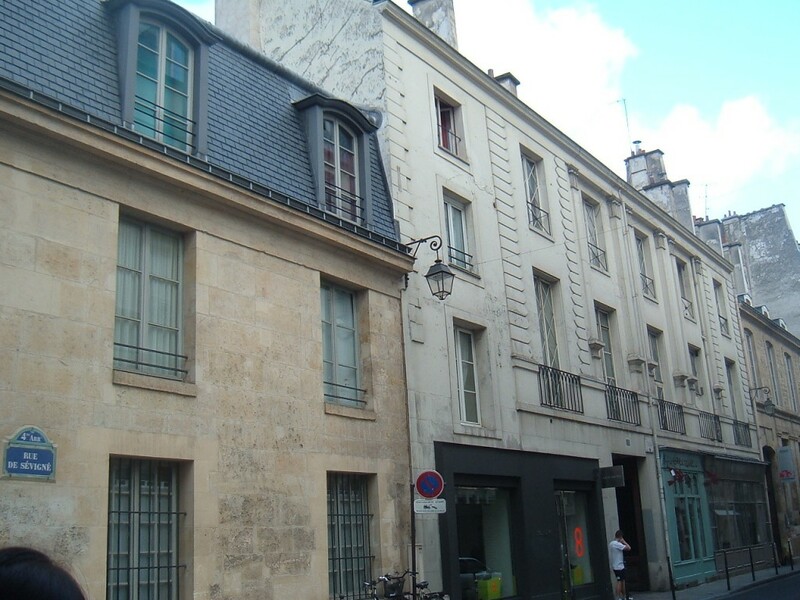 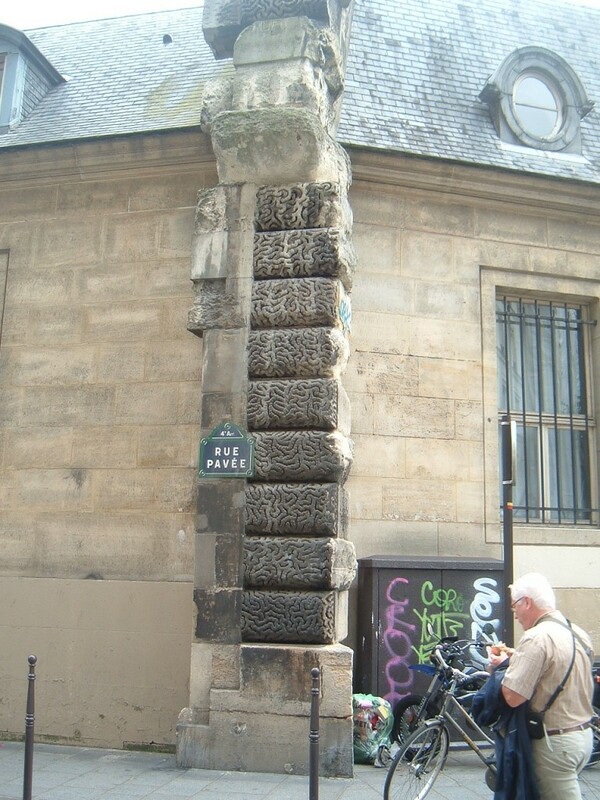 It was demolished in 1845; a fragment of the wall can still be found in the rue Pavée. 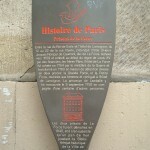 The space formerly occupied by the prison is now the Bibliothèque Historique de la Ville de Paris (Paris City Historic Library). 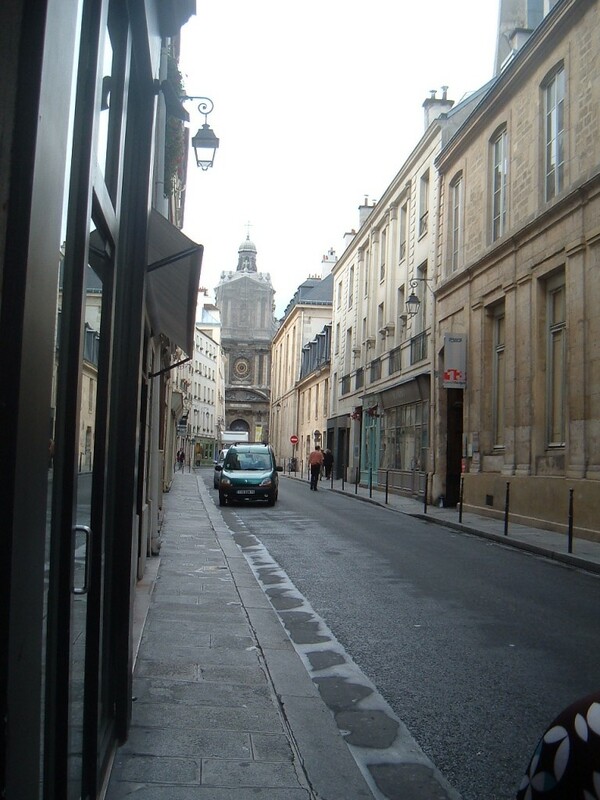 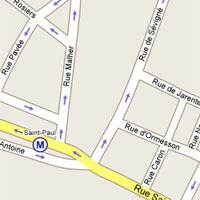 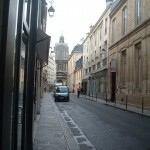 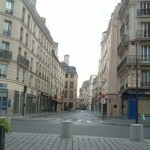 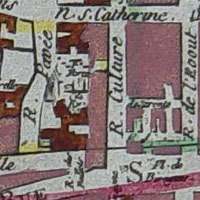 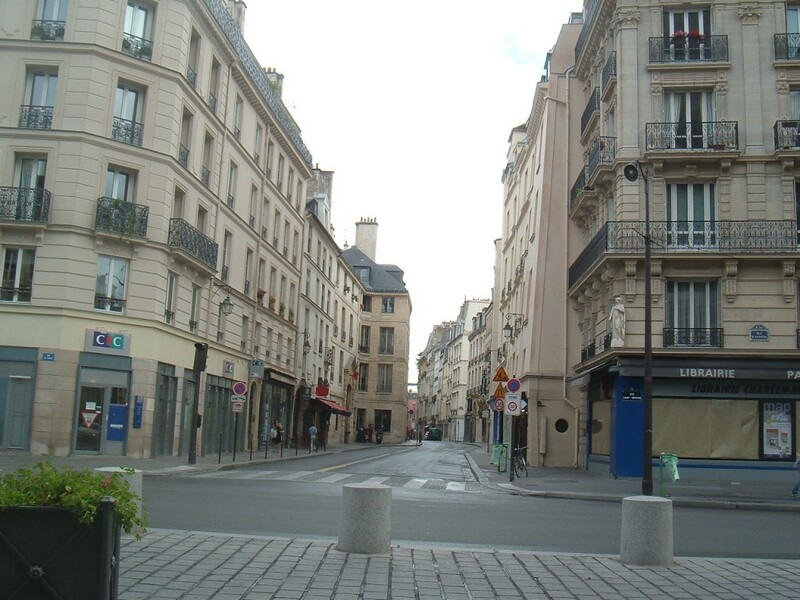 Both the Rue Pavée and the Rue de Sévigné are in the path of the Marais walk.